Imagine spending a beautiful spring day, setting up the picnic table in your WeatherwallTM screened patio, and folding back the bi-fold doors so that you can go back and forth to your grill without any hassle. With the right equipment creating the right spaces, getting the most out of your yard is simple. At Elite PVC, we know that your yard is a vital part of your home. We also know that pests and weather can keep you from enjoying your yard as much as you would like to. That is why we offer our customised WeatherwallTM system for your yard. Our WeatherwallTM is used to enclose your patio or part of your yard, to create a space that is protected from the elements so that you can use it year round. Every WeatherwallTM is custom built for our customers and can include bi-fold doors. Cranbourne homeowners can use bi-fold doors to create an open wall for their WeatherwallTM, or their back door, to make going in and out, or enjoying the fresh air more convenient. Our screened panels we can create them using several different types of mesh, such as Vistaweave, security or fly screen, depending on your needs. Our solid panels are more secure than our other options, and we craft them with PVC, acrylic sheet, or our Crystal Clear material. 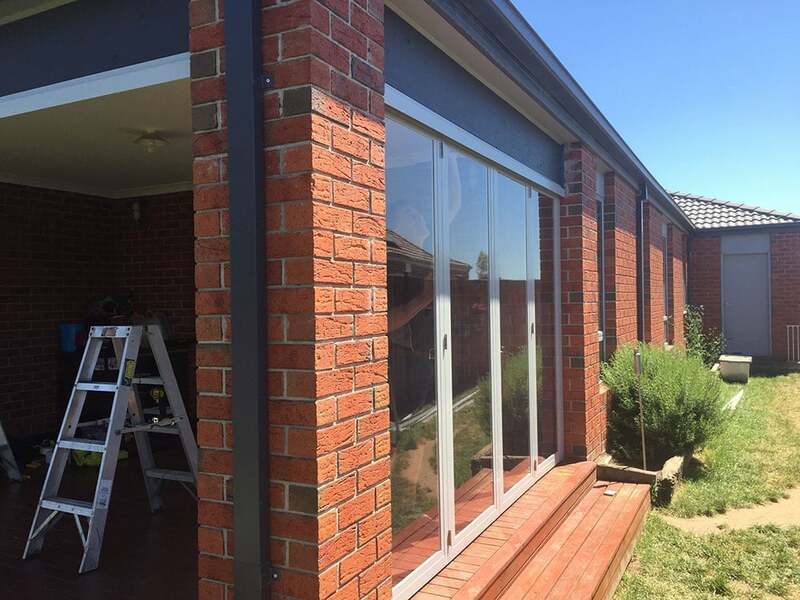 With options such as pet doors and bi-fold doors, Cranbourne residents can use WeatherwallTM systems to personalise their outdoor spaces, patios and businesses. Do you need space to sit and enjoy your yard, room for your kids to play while protected from pests, or a spot for your pets to spend the afternoon while safe from the elements? A WeatherwallTM system from Elite PVC can give you the yard of your dreams. When you are trying to green your home, one of the best things that you can do is to protect your windows from the elements. Your windows are a weak point in your home’s insulation. Both cool and warm air can leak from your windows while your windows can let in cold air from the window or the heat from the sun. Protecting your windows from the elements is the first step to saving energy and keeping your home comfortable, no matter the season. For PVC outdoor blinds, Cranbourne homeowners have a lot of different options to consider. Elite PVC offers many different systems for homeowners to choose from to create the perfect blinds for their home. Our systems have many different options for the guides of our blinds, including spring roller guides, fixed guide, crank-operated, and automatic. We craft our blinds with tough, long-lasting canvas, acrylic and sunblock mesh. In fact, we craft all of our products with high-quality, Australian-made materials. Our automatic blinds can protect your home even better by moving the blinds to help protect the windows as needed. We can fit our wind and sun sensors to your system, which can help in the adjustment of blinds to protect your windows. In these instances, the motor is installed in a discreet location, and can run on electricity or solar power. Our blinds will help to insulate your home against extreme temperatures and weather. With PVC outdoor blinds, Cranbourne homeowners will save money on their energy bills.